Milk is regarded as one of the most nutrient-dense foods – with vitamins and minerals such as calcium, it helps to strengthen bones and prevents osteoporosis. Milk not only help to maintain healthy teeth and bones, but also is able to reduce high blood pressure, lower risk of diabetes, colon and breast cancer and improve skin’s health. 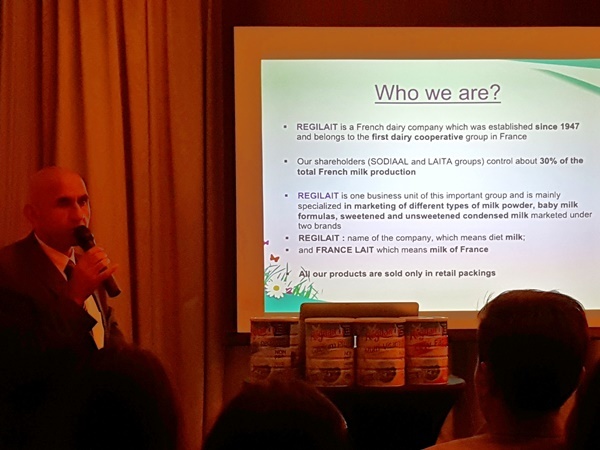 The gentle manufacturing process of Régilait milk powder preserves all of the nutritional qualities of the milk, no fillers was added to it nor maltodextrins, thus they can be consider as “pure 100% cow milk”. 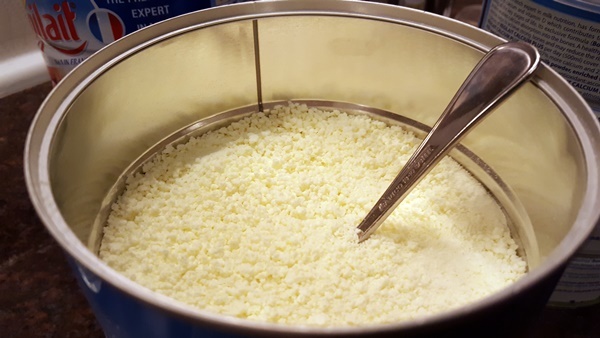 The milk products has undergone a unique granulation process and dissolve in hot or cold water instantly. 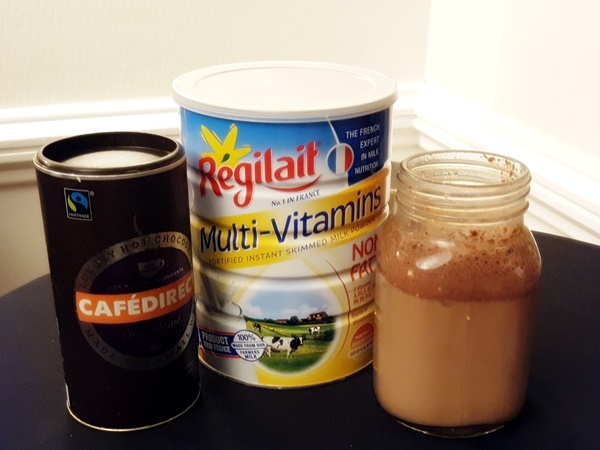 I was instantly sold by this as this means I can enjoy the milk any time easily – sometimes I am too lazy to drink hot milk/milo because I did not boil hot water. 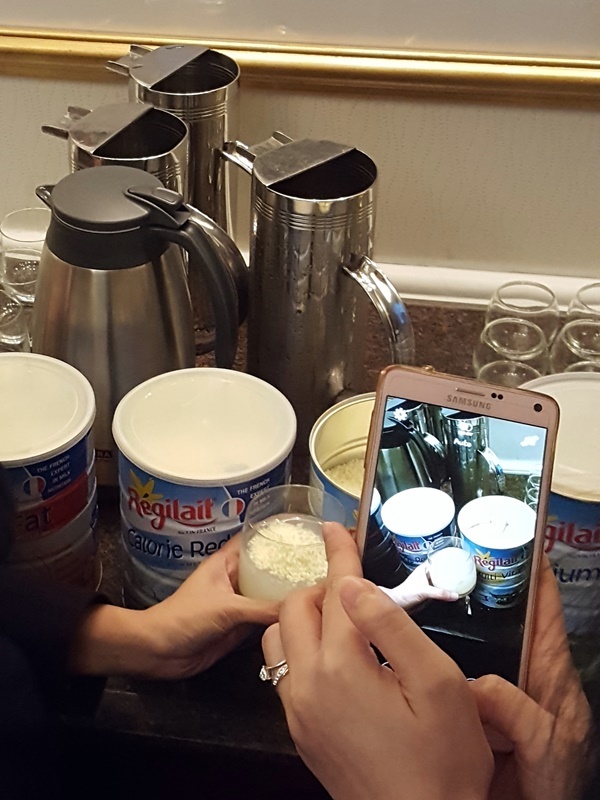 Not only can the milk powder be mixed with beverage like coffee, tea or hot chocolate, it can also be used as an ingredient in desserts or dishes. We were taught a few recipe using the milk product during the media launch and I will be sharing 2 of my favourites below, so do read on!! Régilait Calorie ReducedThis milk is fat-free and allows controlled calorie intake to help you maintain your weight. 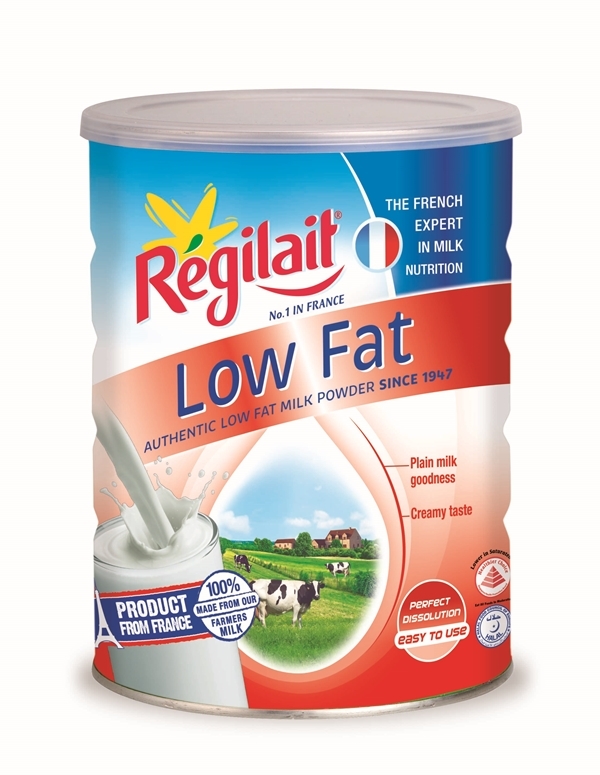 For diabetics or consumers with high cholesterol, the Régilait Calorie Reduced helps to restore a balanced diet. One glass of Regilait Calorie Reduced contains only 89 kcal. This milk containing an optimal composition of calcium, proteins, vitamin D and phosphorus. Calcium is easily absorbed and becomes well fixed in the bone when consumed. The fat-free Régilait Multi-vitamins contains eight vitamins: A, D3, C, B1, B2, B6, B9, B12. Vitamin A can help you achieve good vision, a healthy immune system and spur cell growth. The B vitamins can help to keep your body up and running, Vitamin C helps to grow and repair tissues in all parts of your body while vitamin D3 improves overall bone health. This milk product contains 14% more calcium and 25% less saturated fat than a regular dried milk. All of the nutritional qualities of the milk are preserved – calcium, phosphorus, magnesium, protein, vitamins B1, B2, B9 and B12. Vitamin B1 and B2 enable the body to use nutrients, vitamin B9 is necessary for normal cell division and replication, vitamin B12 is involved in the formation of red blood cells. Each products meet different nutritional requirements for different individuals. 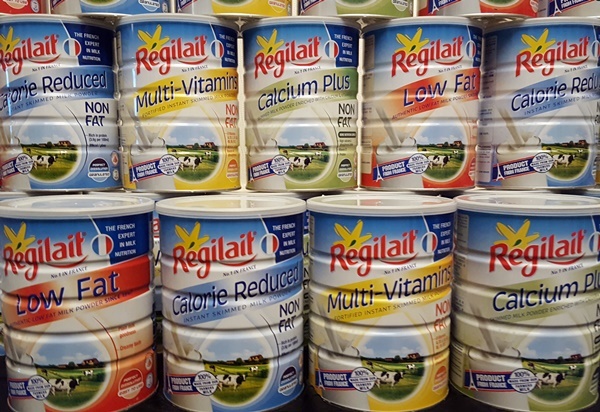 Although on the tin it’s stated that the product is good for age 1 and above, we were told that it’s most suitable for consumption by ages 3 and above. This is because children below 3 usually need a higher fat content to maintain normal weight gain, and they cannot digest cow’s milk as easily as formula milk. Low-fat milk also usually provides too high a concentration of protein and minerals can stress their immature kidneys. Fill a tumbler with 930ml of cold water. Add Régilait milk powder, honey and chocolate powder. Mix and shake well with ice. 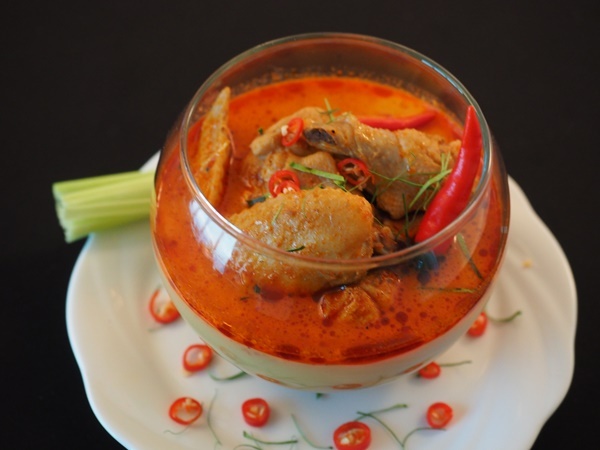 Marinate chicken pieces with 1 packet Dancing Chef Indonesian Curry Paste, set aside for use. Heat oil in a pot; stir-fry the lemongrass, pandan leaves and onions until fragrant. Add in Dancing Chef Rendang Curry Paste and the marinated chicken pieces. Toss and mix briefly over high heat. Add in cooked potatoes to cook together. Add water and bring the mixture to boil. Lower the heat to medium and simmer for about 10 minutes until the chicken is cooked. 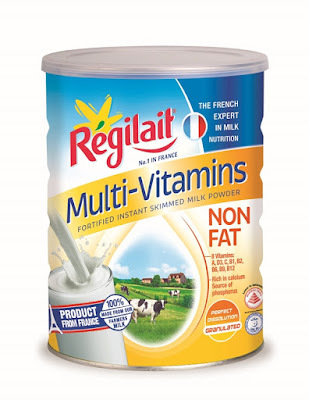 Lastly, add Régilait Multi-Vitamins milk and bring it to boil. Lower the fire and simmer another 5 to 10 minutes. Serve and enjoy. Wow, Such a nice post. But for the making of the food inside the glass. I hope that next time you would also have some photos taken throughout on the steps on making the food. But in totality, the milk used was good. I'm looking forward for more articles soon. If you're having some paper works concern, poweredessays promo codes is here to bring you an ease.